Edwin Roxburgh Oboe Music can be purchased direct from me or from the Divine Art/ Metier online store. 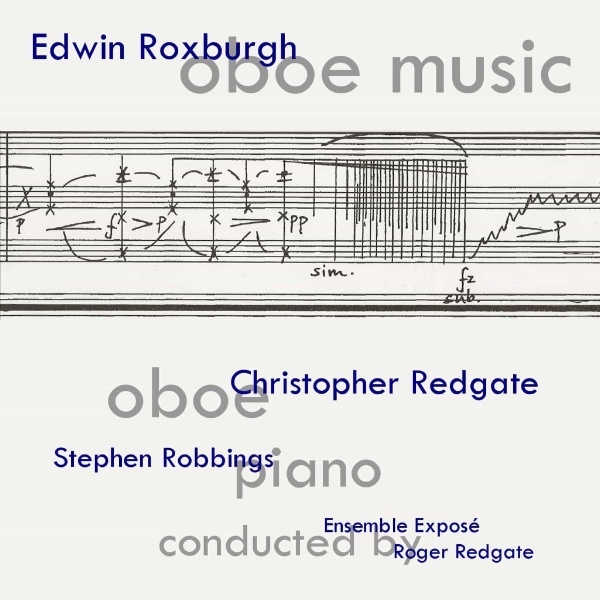 A CD representing Roxburgh's oboe music from the 1960's through to today. It includes music for solo oboe, music for oboe and piano and music for solo oboe and ensemble. The Performers: Christopher Redgate: oboe, Stephen Robbings: piano and Ensemble Expose conducted by Roger Redgate.